During my countless hours on the internet, I find myself subscribing to lots of potentially interesting newsletters. More often than not, they end up deep in my email inbox, unread. The team at Stoop has a solution. They developed an app which acts just like a Google reader, but for newsletters. 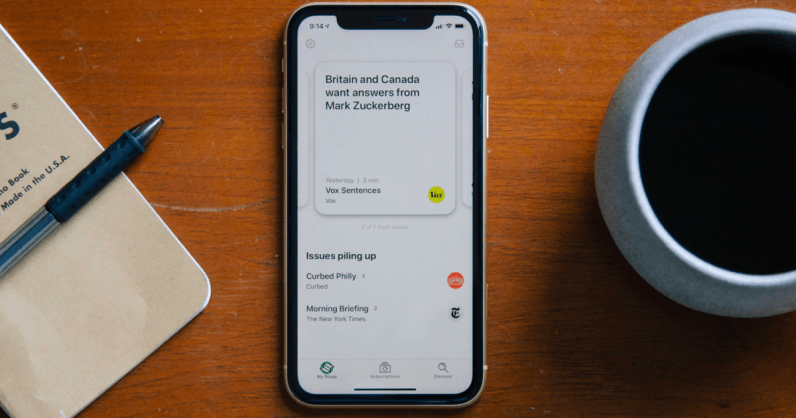 Stoop, available both on Android and iOS, lets you discover and subscribe to newsletters in an easy, podcast-like way. When signing up, the app creates an email ID for you with an “@stoop.email” address, so you can sign up to newsletters on the web. This new email address declutters your primary email address by setting up forwards or unsubscribing newsletters. Once you login, the app has three main sections you should be aware of: My Stoop, Subscriptions, and Discover. The My Stoop section contains all your fresh newsletters in neat tiles. Clicking on a tile takes you to that particular issue of the newsletter. The subscription screen offers a quick glance at all your subscribed newsletters in a neat alphabetically sorted list. You can click on any of the newsletters to see the inbox, archive, and settings for each of them. The most interesting feature of the app is certainly the Discover section. Here, you can search for newsletters you already know of, or explore curated lists and categories. Stoop also has popular newsletters and categories listed in the Discover section. If you click on a newsletter to subscribe, it takes you to the subscription form page where you’d have to fill out details like first name and last name; email is autofilled by the app. Stoop has rolled out an “Instant Subscribe” button for select newsletters, so users don’t have to fill in any form. However, it won’t work for newsletter forms that require more information than name and email. Instant Subscribe function is available for nearly third of the 1000 newsletters available on the app. “Our newsfeeds are controlled much by algorithms. And newsletters are a great way to have enjoy personally curated content. We wanted to give a podcast app or a reader app like experience to our users. And publishers can benefit from some added visibility too,” Tim Raybould, co-founder, and CEO of the company told TNW on a call. He also said that the app will soon have a premium tier. It will introduce unlimited archiving of newsletters and premium content. Overall, the app is certainly well built for its first version. The subscribing and discovery functions are easy to get used to. You can also unsubscribe to any newsletter with just a click. Presentation and formatting of newsletters certainly need some work as some of them feel cumbersome to look at in their native form. You can download stoop from App Store or Play Store.